Disappearing Bees has been a trend that is becoming more alarming every year for the past ten years. Last year alone, almost one third of all bee colonies in twenty-four states have disappeared or died. Experts say that if next year is as bad as this year has been, it could not only affect the amount of available honey, but can also prevent pollination of valuable crops. Bees contributes through pollination are valued at least fifteen billion in the US alone. The book Silent Spring by Rachel Carson may become a reality if something isn't done. We don't know exactly what is causing the huge bee die off, but we suspect the culprits include pesticides, particularly the newer class called neonicotinoids. 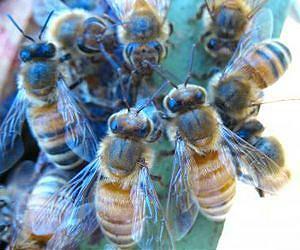 This class of pesticide affect bees even when used at very low levels. Other threats include the Varroa mite and lack of nutrition because the millions of acres of commodity crops such as wheat and corn offer little in the way of food for bees. Experts suspect that the problem can't be isolated to one of these factors but probably includes all of them. The bees are dying because we have created a world that is becoming more hostile to their survival. So what can we do to help make the world less hospitable to bees? We begin internet and letter writing campaigns to demand that the USDA ban the use of neonicotinoids, At least one expert recommends that we help feed the bee by not using herbicides and pesticides in our yards. Another part of the solution that any of us can do is to plant bee friendly flowers. 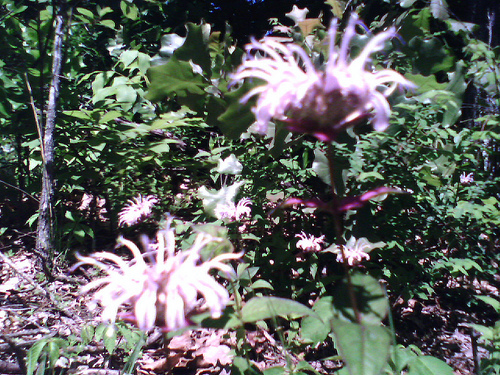 One of these flowers is bee balm. Bergamot, a member of the mint family of the genus Monarda, can either be wild (Monarda fistulosa) or garden variety (Monarda didyma. 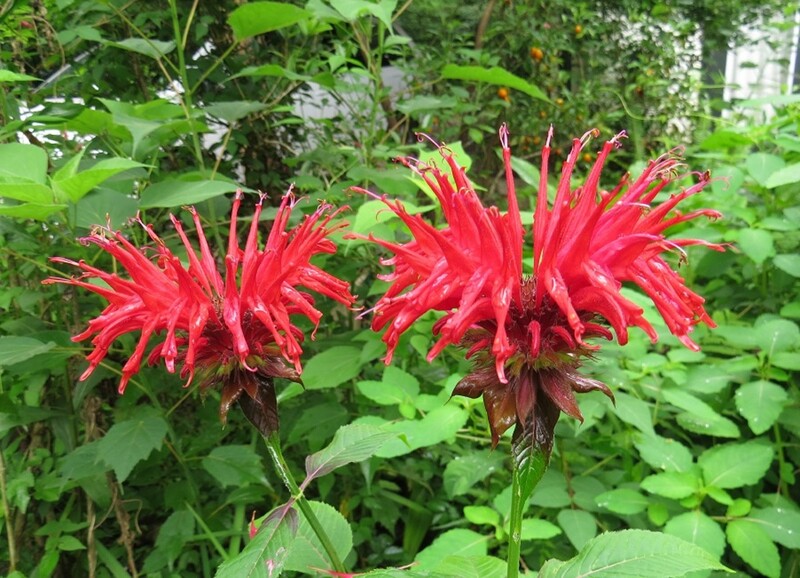 Other names for the plant are Scarlet Beebalm, Scarlet Monarda, Oswego Tea or Crimson Beebalm. The red variety is commonly called Oswego Tea. The colonists turned to It after they threw British tea into the harbor as a protest against high taxes. Bee balm can be included in herb gardens and add color to flower beds. Plant it near a window so that you can enjoy the visitors to the plants. Bee balm attracts not only bees, but butterflies and hummingbirds as well. Allow wild bergamot to spread in a sunny field or meadow for a blanket of color. In order to have prolific blooms to help support the bee population, be certain that you plant your bee balm in full sun.When planted in the South and Southwest, at least some afternoon shade helps flowers last longer. 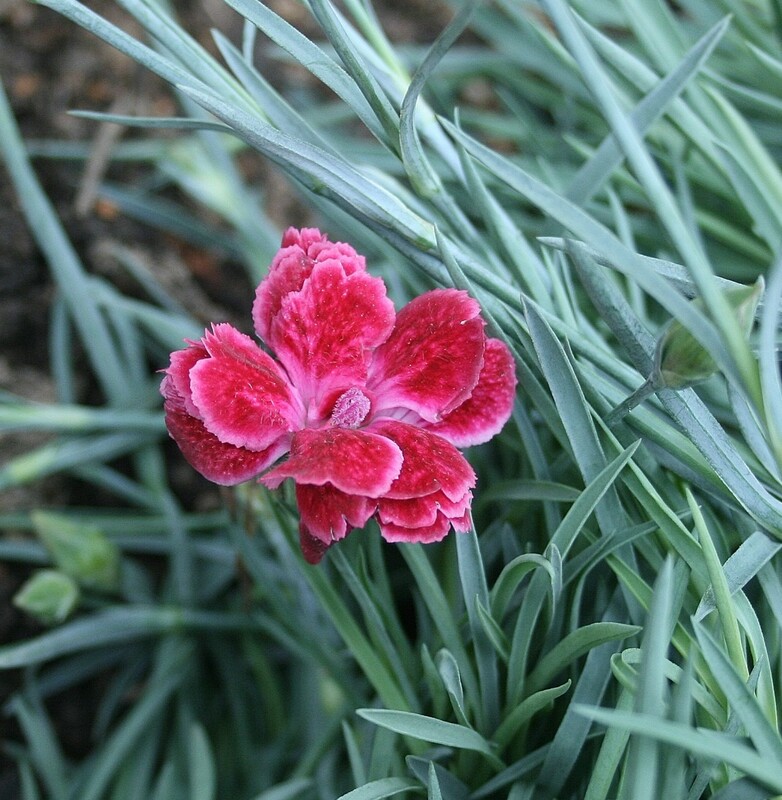 Plant in rich, well-drained soil.Avoid planting in areas with poor winter drainage. Amend the soil with compost to the soil before planting. 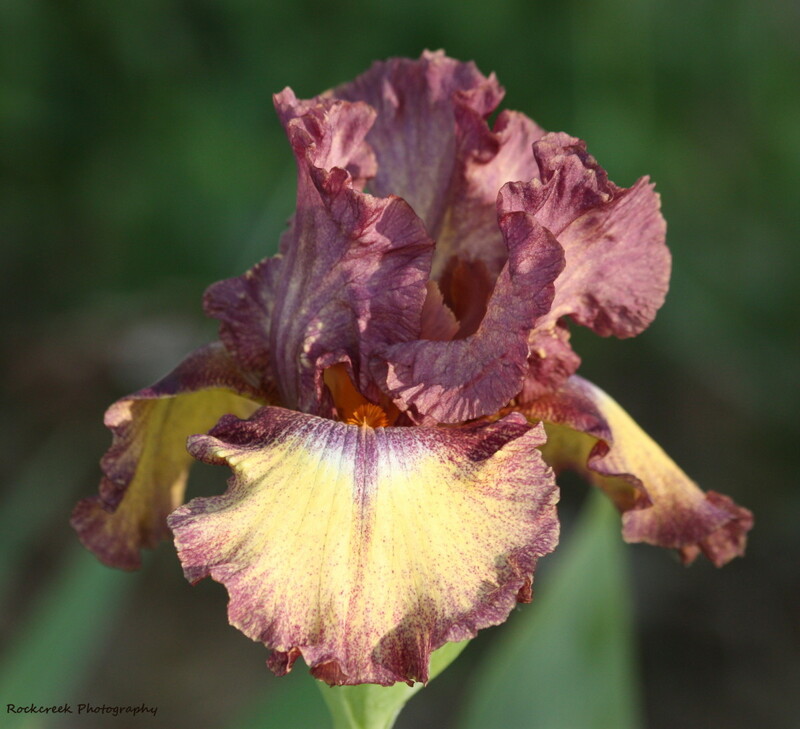 Your plants prefer to get adequate moisture, but it will tolerate drought. 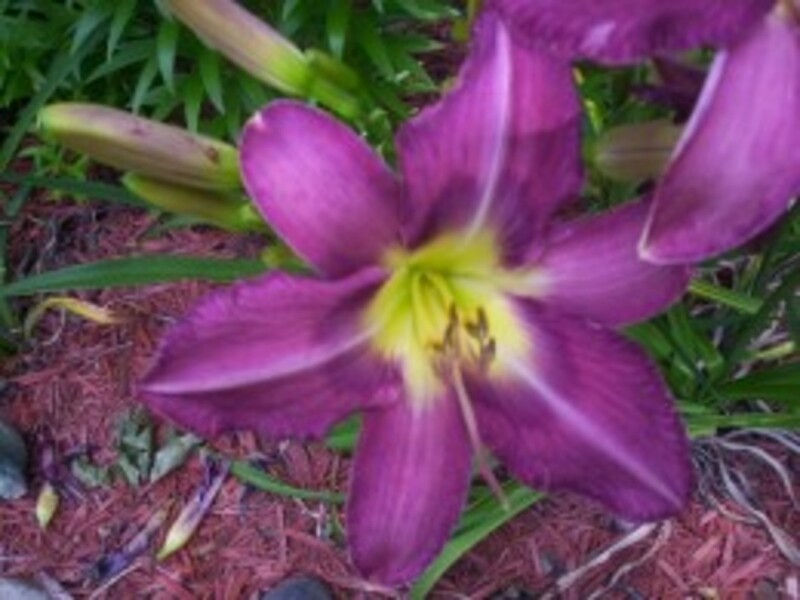 however, protect it from poor drainage, especially in winter. Water if the leaves wilt during dry weather. Mulch in the spring. Pick flowers to encourage more blooms. In late Autumn, trim plants back to several inches of the ground. If yo want a bushier plant, pinch stem tips of new growth early in the spring. Because bee balm is a mint, it spreads but not as aggressively as other members of the mint family. Dig up and divide the plants every 3-4 years. Remove and throw away the old center section and replant the outer roots and shoots. If you are unable to replant all of the bee balm, share extra plants with friends so that they too can help feed the bees. In addition providing food for bees and adding color to your flower or herb garden, bee balm leaves can be used in other herb tincture and salve preparations as a preservative.. Simply add bee balm leaves when defusing the other herbs. Collect bee balm roots in the spring or fall. Leaves on the other hand should be collected when leaves are fully mature. Both can be dried for later use. Make a tea of both the leaves and roots of any type of bee balm. Drinking this tea promotes perspiration that pulls toxins from the body. Other plants that bees love are sage, salvia, oregano, lavender, ironweed, yarrow, yellow hyssop, alfalfa, honeywort, dragonhead, echinacea, buttercup, goldenrod and English thyme. Eliminate garden herbicides and pesticides. When your vegetables in your garden bolt, let them go to seed. Lobby against the use of neonicotinoids in commercial fields. Finally, help educate others on the plight of bees. Your life, my life and the lives of everyone on our planet depend on it. Don't forget to use the bee balm yourself! CraftytotheCore! Awesome idea! I started planting flowering shrubs and bushes to attract bees to my yard a few years ago. I hadn't thought to plant bee balm. I haven't seen it around here, but I will be sure to check in to it. Thanks for the great advice! I have heard about the GMO being a possible link. Most of the GMOs are in wheat, corn, soybean and canola. Those GMO crops are grown in huge acreages which some say is the real issue. No flowers for miles on end and the bees starve because of lack of nectar producing plants. Most interesting, Donna! I read about the declining bee populations problem years ago, and then it almost seemed as if the media stopped writing/talking about it. So your hub was most enlightening. If we lose the bees, we virtually lose our foliage, including edible crops. Thanks for sharing this excellent piece! Get your neighbors to plant nectar producing flowers and share your bounty of bees with them, lol! Then I'm glad to help! :) They can be quite a nuisance, but they come back every year, so I grin and bear it. I let them use it when they want (as if I had a choice) and they usually swarm to the pool early in the morning and at night. During the day, they kind of scatter about. I know you wouldn't see it this way, epbooks, but the fact that the bees are using your pool every day is a sign that you are doing something to help protect the bees! Next time you see all those bees, be grateful that they are working for all of us! All of our survivals depends upon our bee populations! If bees were to go extinct, so would we! I wish I could say the bees were disappearing from my yard as we have thousands of them that fight us to use our pool every day, especially during the summer months. :) Thankfully they've been kind enough not to sting us!! Great hub and well-written, helpful for those who would like to raise bees. Thanks for the support, Bill! RTalloni, I didn't realize how scary the problem with the bees were untile I began doing the research for this article. As I see it, there isn't much one person can do to solve this problem, we all need to learn to work together. I am certain that I will be writing more about this problem as time goes on. OUR existence depends on bees. Also, thanks for the tip about offering a place for the bees that need a new home. Bee balm definitely helps make a garden hospitable to bees and now's the time to be thinking about those spring blooms so it's good to see the encouragement here. A neighbor lost their established bees to some sort of attacking bees that killed and took over the hives in one morning. Helping helpful bees survive against all that they face is being a good steward of the earth. Support pest control companies who care for bees. Ask them what they do with bees when they are called to handle an infestation. Many of them offer to trap and give the bees to beekeepers when they have to be removed from a home, school, or business. Our next project now that we have chickens is to raise bees. Our neighbors have three hives and I find it fascinating. Thanks for the information; every timely for me.